Tears of joy flowed from my wife and my eyes as Taylor Ritzel won a gold medal in the “Women’s Eight” rowing competition during the 2012 Summer Olympics in London. Taylor was a childhood friend of our kids and her parents, Tom and Lana, were our close friends. One year and nine months ago, Taylor sat by her middle aged mother's death bed watching her fight for life after a long and debilitating struggle with breast cancer. Just before her mom passed away, Taylor promised her mother she would make the Olympic team in her honor. 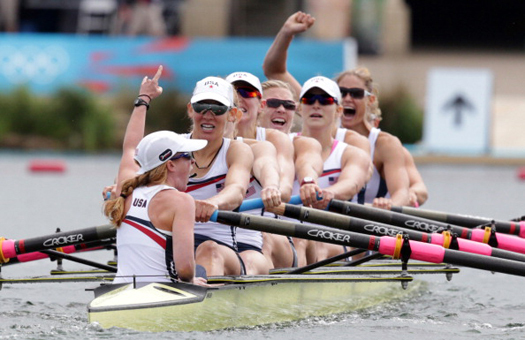 On August 2, Taylor, along with seven other women surpassed the promise by winning gold. Whether you are an independent reader or a supporter of Urantia based organizations, we are in this boat together. Individually we are following the voice of a new revelation and trusting our souls to these higher truths. Now we need to pull further together as a team and create goodness far beyond the power of individual acts. It is time to win the gold medal as team Urantia.